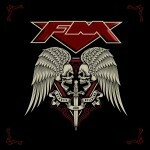 Share the post "Album review: FM – Heroes and Villains"
FM may have spent last autumn on a 30th anniversary tour, but they are neither a nostalgia band nor one to let the grass grow under their feet. Two years after a pair of new albums in Rockville I and II, and ahead of yet another tour, they are back with another album of new material. The days when they hoped to make the big time and shifted their sound to catch prevailing trends are long gone with no pressure to provide a hit single, though many of these songs could easily gain airplay on the now classic rock-friendly Radio 2. And yet the overriding impression is that this is probably the most overtly commercial of the albums they have recorded since reforming, possibly even since 1989’s ‘Tough It Out’. Opener ‘Digging Up The Dirt’ has a shuffling groove to it not unlike Billy Squier’s ‘The Stroke’, complete with Def Leppard-style gang vocals, while a Hysteria-like opening to the ultra catchy ‘You’re The Best Thing About Me’ continues the comparisons, although Steve Overland’s ever superb singing is vastly superior. The lush ballad ‘Incredible’ is a showcase for the warmth and emotion the frontman brings to his singing. Commerciality should not be equated with fluffy keyboards though as the guitar of Jim Kirkpatrick is pushed well forward in the mix and his concise solos suit the music perfectly. Much of the album has the feel, if not the budget, of a Mutt Lange-produced album and indeed ‘Shape I’m In’ could be a missing outtake from Bryan Adams’ ‘Waking Up The Neighbours’. One criticism is that one or two of the riffs and hooks were rather obvious and indeed I constantly found myself reminded of other songs with the verses of ‘Life Is A Highway’ reminding me of Van Halen’s ‘Top Of The World’ and ‘I Want You’ uncomfortably close to Joan Jett’s ‘I Hate Myself For Loving You’. Nevertheless there is a considerable variety in the bases covered. ‘Cold Hearted’, released last year as part of a mini-album is not vintage FM, and yet as virtually the only representative of the more blues rock sound of their early nineties vintage adds a touch of grit to the highly polished fare elsewhere like the bright and breezy ‘Call On Me’. ‘Big Brother’ offers something different both lyrically and with its slower pace and haunting keyboards at the beginning and end and ‘Sometimes I Only Wanna Rock n Roll’ has the raunchy seventies feel of the Stones, Faces and Jo Jo Gunne and is a prime contender to feature in the live set and finally retire ‘Hot Legs’. However the final song ‘Walking With Angels’ will be one where I hit the skip button in future. Granted it is a showcase for Steve’s incredibly soulful voice, but it’s a piece of sentimental mush that should have been left for the Sam Smiths of this world. This entry was posted in ALBUM REVIEWS, ALBUM REVIEWS (Mobile), All Posts, The Best of 2015 and tagged album, AOR, FM, Heroes and Villains, Jim Kirkpatrick, melodic rock, review, Steve Overland. Bookmark the permalink.